Dolly Parton likes to dream big, and her newest addition to the Dollywood family — Dollywood’s DreamMore Resort (dollywoodsdreammoreresort.dollywood.com) — is no exception. 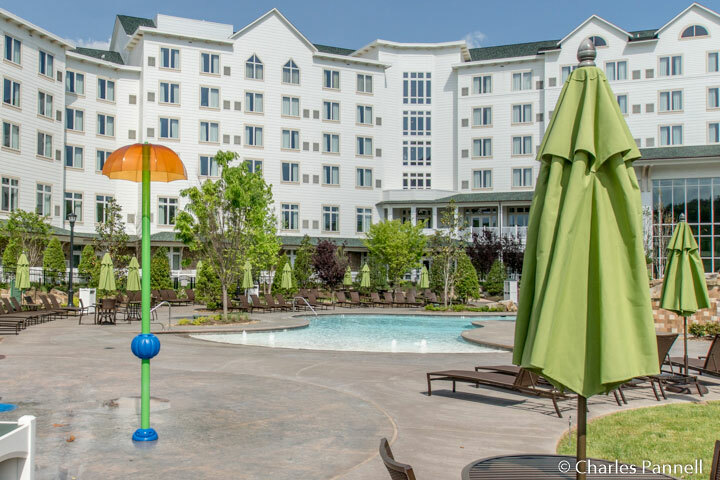 Located next door to the theme park, this 300-room resort is situated on 20 acres of prime mountain land, and offers guests an ample selection of casual but comfortable rooms, with a heaping helping of Southern hospitality thrown in for good measure. And although the property certainly includes the basic access features, the management really went over-the-top to make it a top notch inclusive resort. There’s level access from the accessible parking area to the spacious front lobby, and if you’d like to sit a spell along the way, there’s a whole stable of rocking chairs on the front porch. The moment you walk in the front door you’ll simply be wowed by the view of the Smokies from the two-story window-lined lobby. 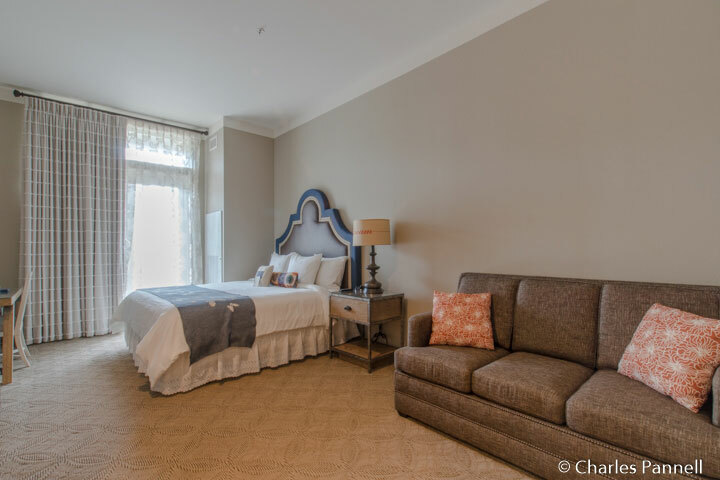 Room 123 is a typical accessible room with good pathway access, wide doorways and lowered closet rods. It’s furnished with a 25-inch high open frame king-sized bed with wheelchair access on both sides, as well as a 12-inch high queen-sized sleeper sofa. Truly there’s plenty of room for even the largest wheelchair or scooter, plus a mountain of luggage in this spacious room. 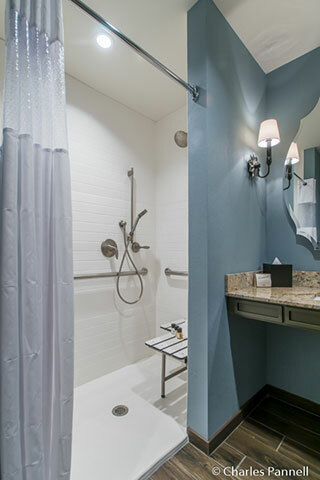 The equally spacious bathroom is outfitted with a roll-in shower with a hand-held showerhead, grab bars and a fold-down shower bench. 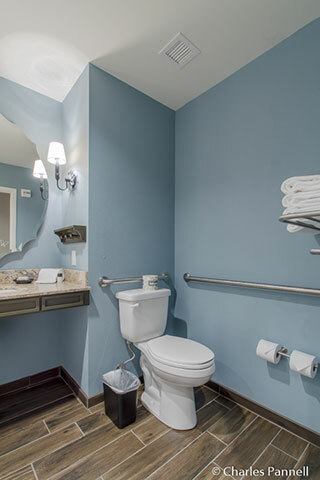 The toilet grab bars are located on the left and back walls (as seated), and if you need grab bars on the other side, mirror image rooms are also available. 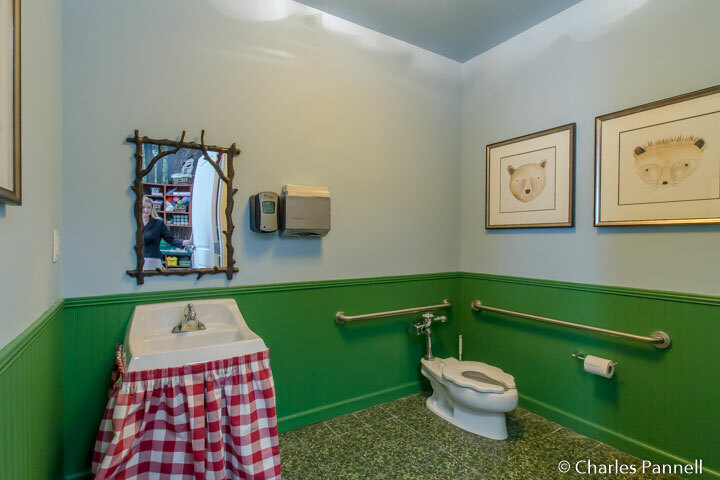 Top it all off with a roll-under sink and you have a very accessible room. On the other hand, if you’d prefer an accessible room with a tub/shower combination, those are available as well. Great attention to detail was also paid to access in the public areas. 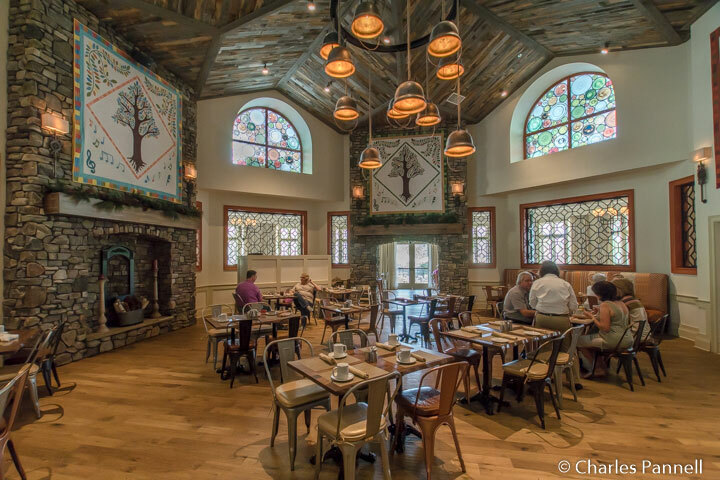 The Song & Hearth restaurant features barrier-free access and serves up a scrumptious breakfast buffet, and offers ala-carte selections the rest of the day; while the equally accessible DM Pantry boasts a nice selection of pizza, pretzels, salads, sandwiches and ice cream. 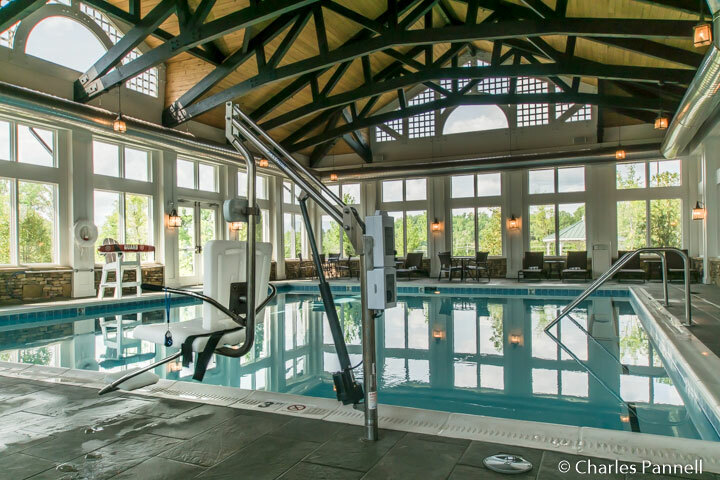 There’s good pathway access to the lift-equipped indoor pool, while the mammoth outdoor pool offers zero-entry access. And if you’d like to enjoy a relaxing soak, there’s also a barrier-free path over to the lift-equipped hot tub. 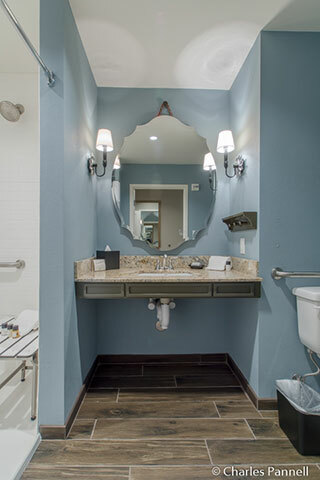 The accessible spa offers a full menu of massage, facial and salon treatments, and Camp DW — which even has a child-sized toilet with grab bars — is the perfect place for parents to enjoy family activities with their offspring. All in all the resort is extremely family focused, with plenty of comfortable public spaces for family time, and even a game room — and every last bit of it is accessible. 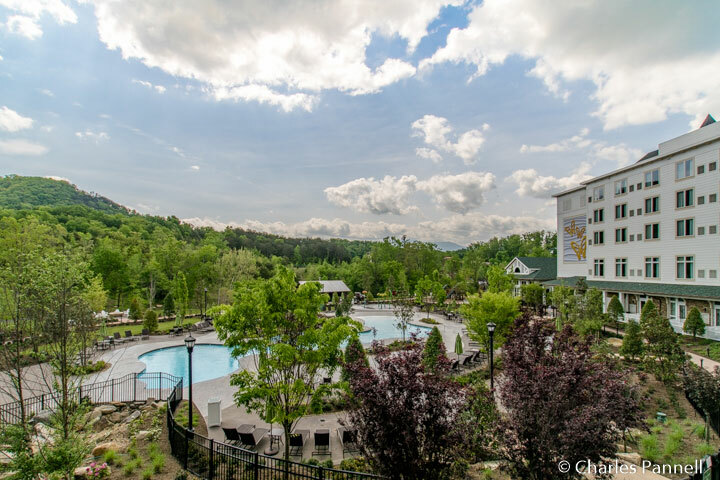 Of course good access is only one of the many reasons to make Dollywood’s Dream More Resort your home base in Pigeon Forge. Resort guests also receive an impressive package of perks that save folks time, energy and even money. 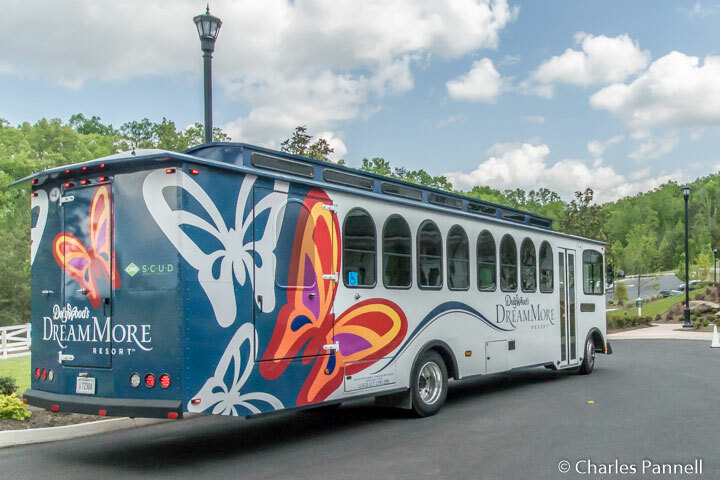 At the top of the perk list is free door-to-door transportation to and from Dollywood. You won’t have to fight the traffic and then schlep into the theme park from the parking lot if you’re a resort guest. Just hop on the wheelchair-accessible shuttle and you’re good to go. And when you get to the park, you won’t have to fight the crowds to get in, as you’ll get to use an exclusive entrance for resort guests only. All resort guests also receive a free TimeSaver Pass, which basically holds your place in line at the more popular attractions. Although this pass is available to the general public, it comes with a price tag of $30. And if you happen to stay at the resort on Friday night, you’ll also get early entry into Dollywood on Saturday morning. 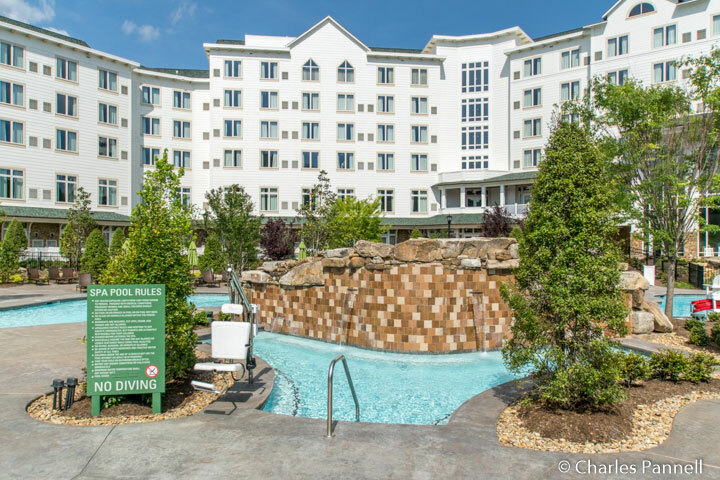 Last, but certainly not least, you’ll save money by staying at Dollywood’s DreamMore Resort, as the best deals for Dollywood tickets are available at the concierge desk, and they are only available to resort guests. A very accessible resort and the best deal in town — what more could you possible want? Editor’s Note: Dollywood’s Dream More Resort was undamaged by the 2016 wildfires, and it is currently open for business.